This is not the Amazon.com Inc. that investors have come to expect. The company said Thursday that its fourth-quarter revenue rose nearly 20 per cent from a year earlier, which topped analysts’ expectations but was still the weakest growth since early 2015. The growth rate carries some caveats, including a changing composition of Amazon’s retail sales and accounting changes that pinch the company’s reported pace of revenue. But it’s becoming clearer that Amazon’s incredible growth machine is getting less incredible. The company is compensating by delivering more steady and solid profits — at least by Amazon’s standards. But a less growth-charged, higher-margin Amazon is not the beast that has sent shudders into every corner of the corporate world. There were two signs of Amazon’s growth hiccups on Thursday. First, the company forecast revenue for the first quarter of $56 billion to $60 billion, lower than the average of analysts’ estimates as compiled by Bloomberg. At the midpoint of that range, Amazon’s first-quarter revenue increase of less than 14 per cent would be the lowest since 2001, when Amazon was 1 per cent of its current size. You read that correctly. Amazon’s chief financial officer told journalists that the company’s growth rate would be 12 per cent to 20 per cent absent gyrations in foreign currency. 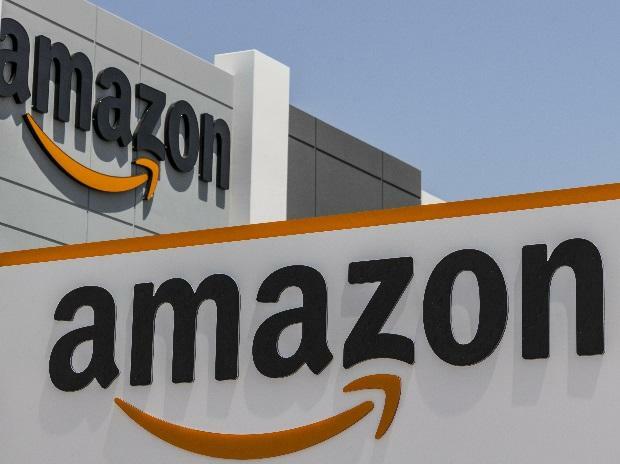 Second, the growth in “paid units” — the number of individual items sold on Amazon — also continued to slow in the fourth quarter to a rate of 14 per cent. The growth rate was 23 per cent at the same point a year earlier. In a conference call with stock analysts, Amazon executives essentially said not to pay so much attention to the growth rate in its e-commerce merchandise business. I almost fell off my chair. The plus side is a growing share of revenue is coming from higher-margin businesses such as cloud computing and advertising. Amazon’s operating profit margins are downright plump by the company’s standards, at about 5 per cent for the fourth quarter. Spending growth has slowed, too, although Amazon spooked investors by saying 2019 would be a year of renewed investment. Read: Spending is going up again, as growth looks like it’s slowing. Shares dropped 5 per cent in after-market trading. No matter what growth hurdles Amazon shows for now, it’s hard to ignore the company’s enormous untapped potential. Its two main business lines — consumer retail and technology sold to businesses — have multiple trillions of dollars in annual spending, and the winds are blowing in Amazon’s direction. In the U.S., less than 15 per cent of all retail spending is online, but that share is growing fast, which helps Amazon. In business technology, the vast majority of spending is by companies buying their own equipment, software and the people to stitch it all together and keep it running. But spending is shifting toward the types of technology outsourcing and cloud computing that Amazon provides. No company in the technology industry has such obvious and enormous pools of spending to go after, plus the savvy leadership to take advantage of every opportunity. That said, investors are continuing to pay through the nose to own a slice of Amazon’s potential. The company’s stock traded before Thursday’s earnings report at 22 times estimated earnings before interest, taxes, depreciation and amortization in the next year. The stock multiples of Google, Microsoft and Facebook are about half that level, Bloomberg data show. Investors haven’t paid a princely sum for Amazon stock all these years to have profits improve but revenue growth slow sharply. Investors waited for plumper profits for years. Now that the company has started to deliver, investors may be disappointed that some of that amazing growth has leeched away.